Maybe it’s homesickness, maybe it’s nostalgia, or maybe I’m just craving some fresh seafood, but damn you, Nova Scotia, you and your salty breezes are in my blood. 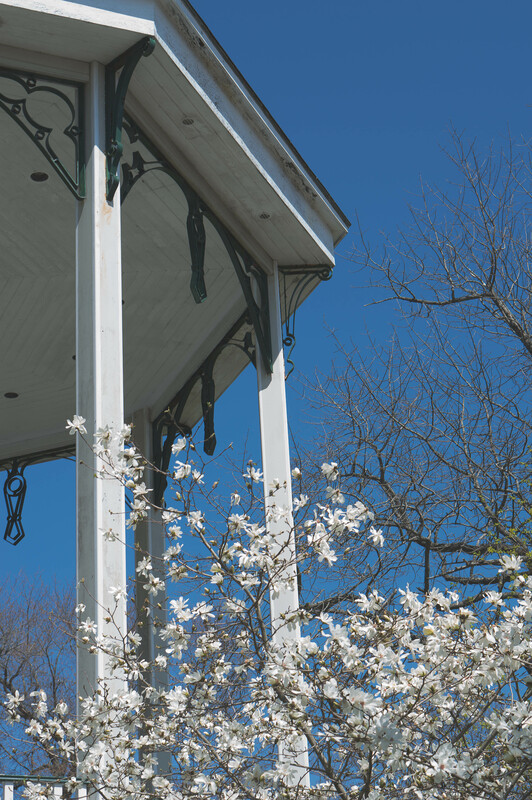 As a proud Newfoundlander, I moved to Halifax thinking I could never consider it home, but lookie here, I’m writing an affectionate post about one of the last places I savoured before I moved to Toronto a few months ago. The weekend I graduated from journalism school, my parents and my aunt came to stay with me so I jumped at the chance to take them to Lunenberg; the quaintest of quaint towns in the Nova Scotia (I say quaint in the least offensive and most loving way possible, as a Newfoundlander I know this term ruffles the feathers of those on the east coast). With bright coloured homes and the most captivating seaside main streets full of shops and restaurants, I was excited to show them a little piece of the place I had fallen in love with over the past three years. I also was pumped about slamming my gob with as much fresh seafood as possible before the big move back to the mainland, Toronto. 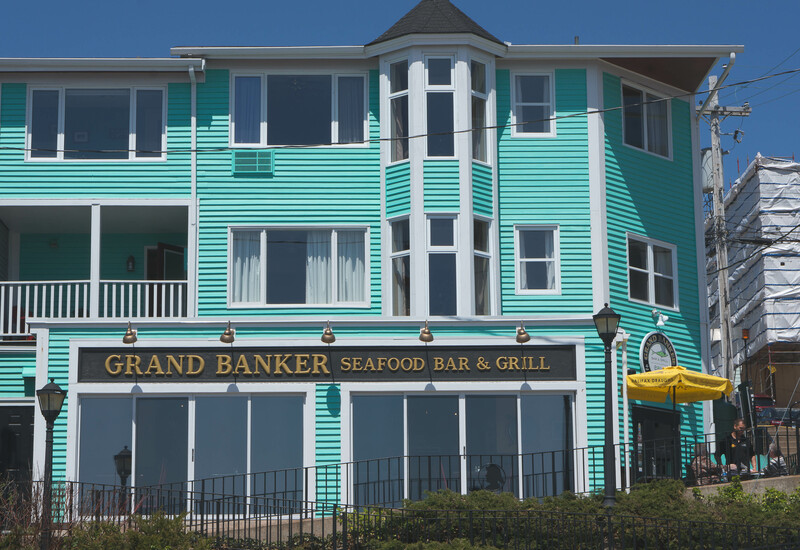 For lunch we wandered to the The Grand Banker Bar & Grill, their bright green Montague Street building is hard to miss. Dad started off with the chowder ($7.50), unsurprisingly. 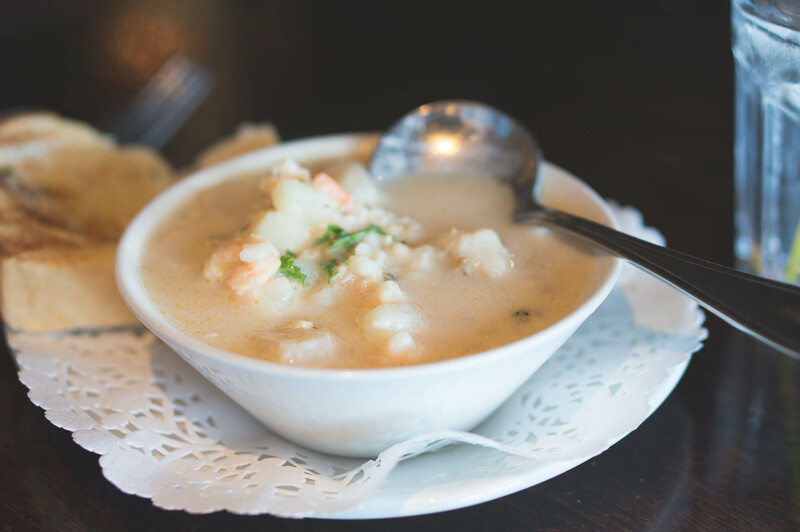 It was New England style and less thick than us Newfoundlanders are used to, but full of haddock, shrimp, scallops and clams and no less delicious. 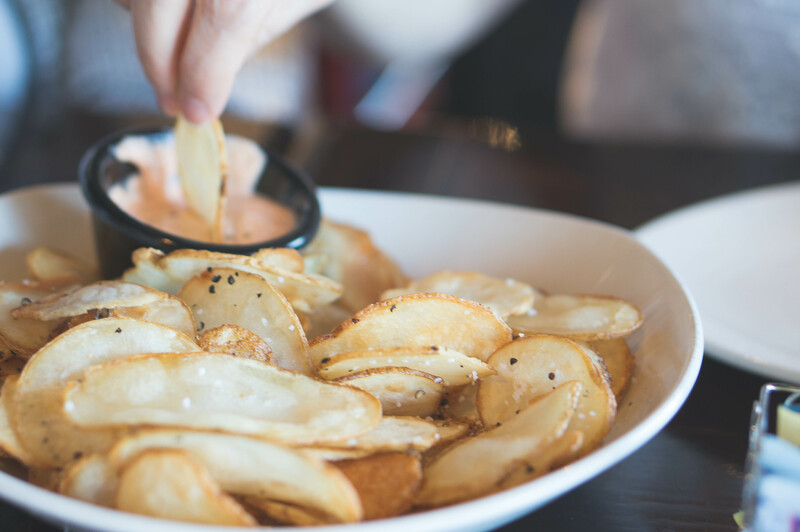 We shared an order of chips with a side of Propeller Pilsner cheddar dip ($7). In my continued odyssey to eat as much seafood as possible, I went with the Po Boy Fish Sandwich ($10.99). 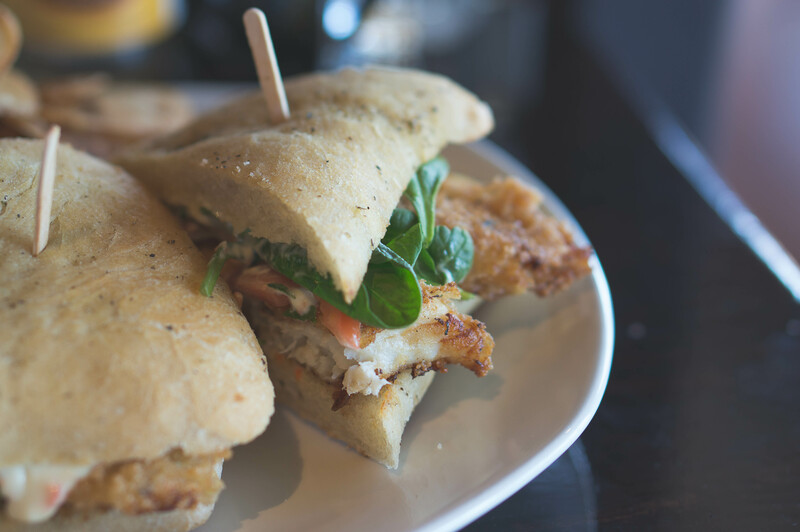 The fresh focaccia was the perfect vessel for the breaded haddock with tartar sauce and veg, and more chips of course. 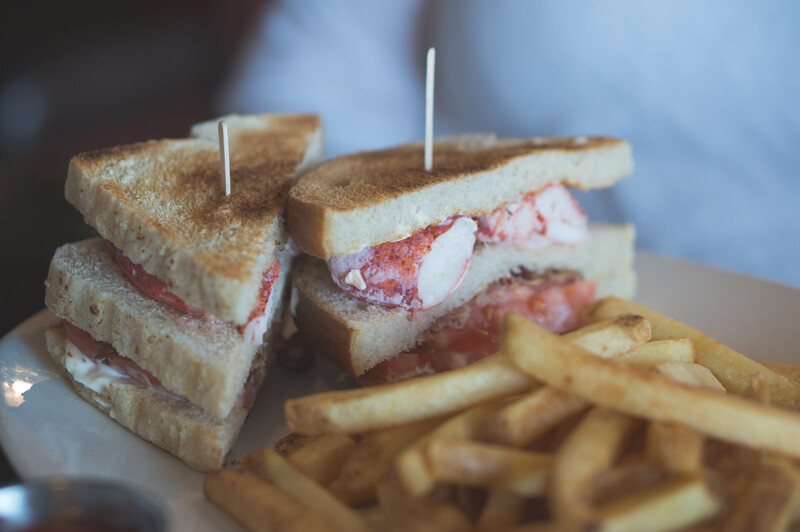 June opted for the gigantic Lobster Clubhouse that was on special… just look at all that lobster, need I say more? 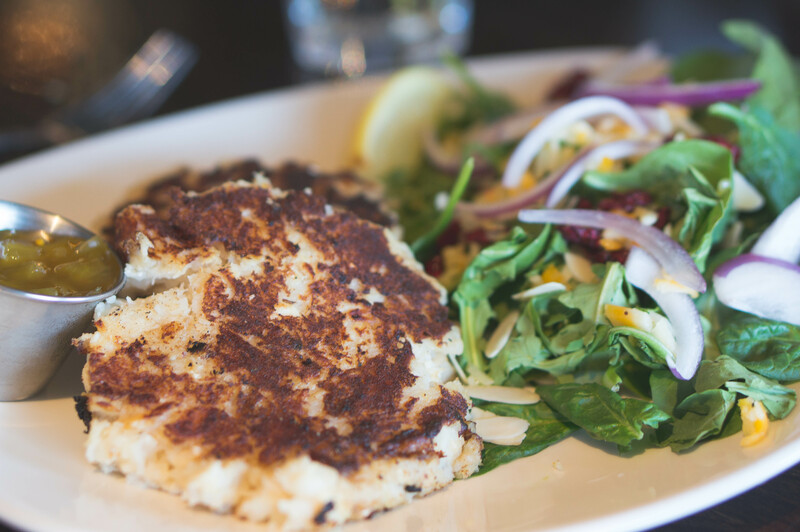 Mom had the Blue Rocks Fish Cakes ($12.99) served with a lovely fresh garden salad — the perfect crisp on the cakes, and up to my mom’s high standards (she’s a pro at fish cakes). 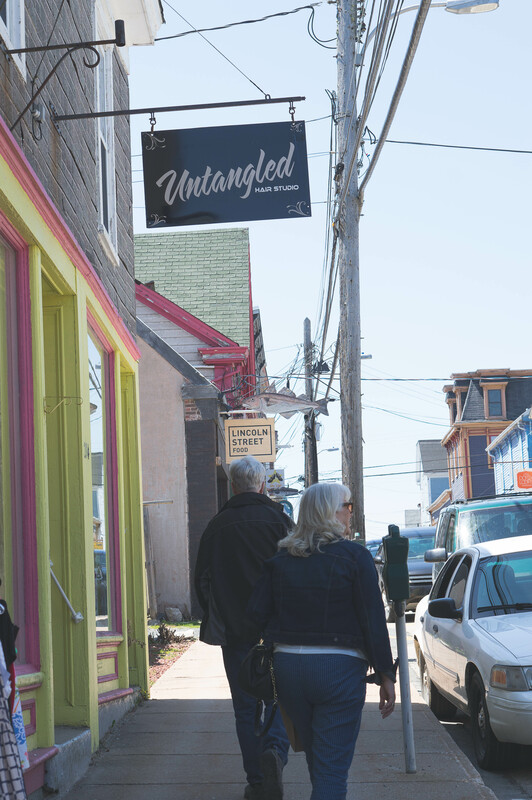 We rolled around the streets of Lunenburg for a little while longer, and it was all I could do but not fall asleep on the way back to Halifax, full of seafood and cozy memories of the lovely town.